Did you know that Sudan has numerous pyramids… even more than Egypt? But there are even more Pyramids in South America than all of the remaining pyramids of the world combined. For some reason, ancient man created thousands of Pyramids around the globe, and researchers today may have found an evidence what their exact purpose was. Pyramids are without a doubt one of the greatest global phenomena to ever occur on our planet. But why did people create these megalithic structures in the first place? And how is it possible that many of them share incredible similarities even though they were separated by tens of thousands of kilometers, and even though mainstream scholars suggests ancient cultures did not cross paths in the distant past? 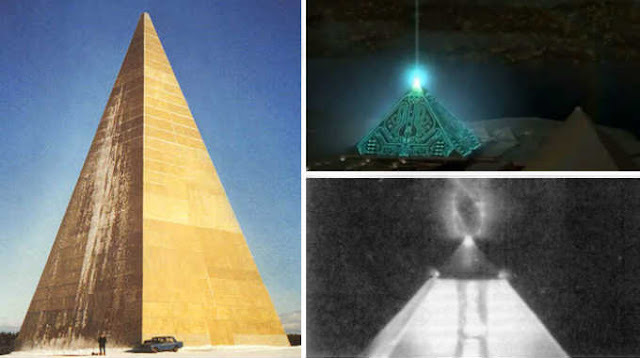 Ever since I heard David Wilcock mention the Russian pyramid studies I was fascinated by this shape and how it affect the entire reality around it. It is probably one of the most well recognized elements of megalithic structures, yet how these sites were constructed and what’s their true purpose remain another ancient mystery, but what was discovered about them, might shed a light on their true purpose of creation. Dr. Volodymyr Krasnoholovets is a renowned scientist from the Institute of Physics in the Ukraine, that spent over a decade building and researching many pyramids of varying heights and proportions. The Russian government even endorsed his work, producing a 144ft tall pyramid outside of Moscow. What he discovered is truly remarkable and has implications that could completely transform society as we know it. With the use of pyramids we could heal the planet from centuries of environmental pollution, vitalize once extinct plant species, heal the body and so on. These are just some of the things we’ve been able to verify, there are no doubt countless other uses that will be discovered once more extensive research has been done.